In the sign industry, complicated, flashy, and expensive signs don’t always mean that they’re the most effective in creating an initial impression on your market. With the right design, the right material, the right placement, you can achieve your promotional goals without having to break the bank. 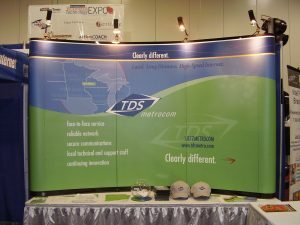 Take tabletop displays in tradeshows and events, for example, they’re simple, portable, and affordable…and they do an excellent job in getting your business noticed, as well as giving your audience the necessary information to keep them engaged. When it comes to tabletop displays, simplicity really might be the ultimate sophistication. 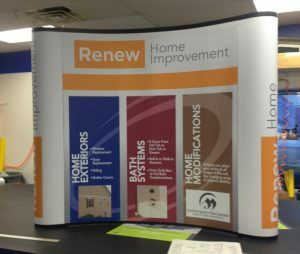 Saber Sign Solutions is a trusted local sign company and we specialize in producing highly effective tabletop displays. We have a wide network of suppliers and vendors so our products are made with the best materials and we can give them to you at the most reasonable prices. Tabletop displays come in so many shapes, sizes, colors, designs, and materials. Among the most popular are tension fabric tabletop displays. They use dye-sublimated polyester that is pulled or stretched to fit a frame. 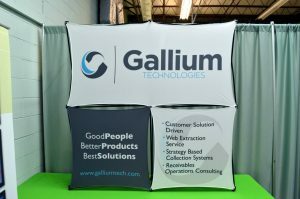 Tension fabric displays are becoming more popular these days because not only do they add depth to the displays, they are also very easy to set up, remove, and wash. 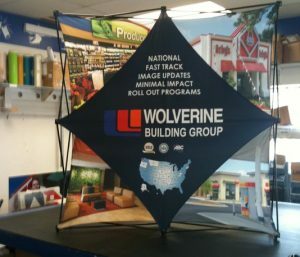 The tension fabric displays we make here at Saber Sign Solutions are scratch, fade, mildew, and wrinkle-resistant, so you can be sure that your display will stay effective for a long time. Pop-up tabletop displays are lighter, more portable, more affordable than the standard pop-up displays, but that doesn’t mean they’re inferior. They are perfectly capable of getting your brand noticed and bringing your booth or kiosk more customer footfall. Saber Sign Solutions creates custom pop-up tabletop displays to suit your unique brand. You have the freedom to choose exactly how you want your display to look like. Whether you’re looking for heavy-duty frames or lightweight ones, curved or straight displays, with or without LED lighting, Saber Sign Solutions can produce it for you! We even have a team of graphic artists ready to help clients who don’t have a design ready yet. Panel tabletop displays are displays composed of two or more panels connected by hinges so you can easily fold them on top of each other. This type of tabletop displays are popular because they are lightweight and very easy to transport since they can be folded and stored in no time. Give potential customers a more immersive experience as they check out your kiosk or booth with tastefully designed panel tabletop displays. Many people think that they only come in three-panel versions, but at Saber Sign Solutions, displays can be customized to have up to ten panels for maximum impact…and they can even be double-sided! Saber Sign Solutions passionate about giving clients the quality, results-producing displays that are tailored to fit their brand identity, business goals, deadline, and of course their budget. This is why we’re committed to producing high-quality tabletop displays that businesses can use to promote their brands. 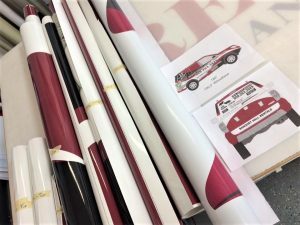 Whether it’s a tradeshow, a presentation, an exhibit, a convention, Saber Sign Solutions has the perfect display that you’d be proud and happy to bring along the event. We’re excited to do exactly this for you! There are so many promotional tools that businesses can use in tradeshows and corporate events, that sometimes you’re not sure which one’s the best for you. This is where Saber Sign Solutions can help. Our experienced team of sign & graphic designers, project managers, engineers, and sign specialists are ready to give you their professional insight and advice on which sign would best suit your business and objectives. If you have questions or concerns about tabletop displays and how they can help your branding strategy, just give us a call! Call Saber Sign Solutions today at (512) 861-2699 for your Free Consultation with a Tabletop Display Expert!